This super playful blouse with an on trend stripe print is a must-have this season. 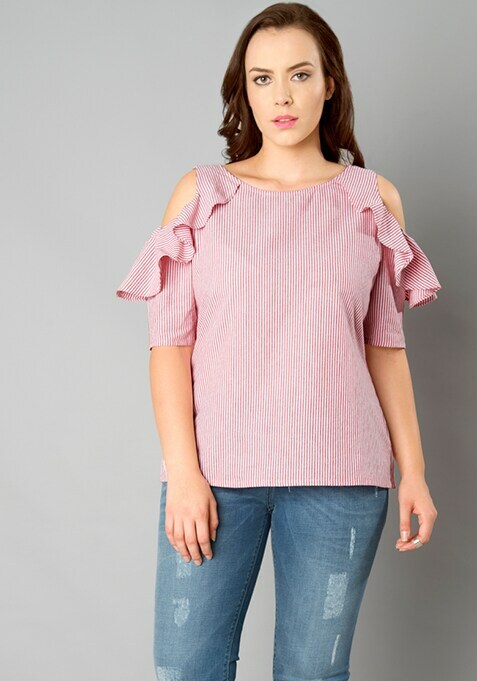 Featuring short sleeves with a cold shoulder detail, ensconced by ruffles - you will look utterly chic in this stunner. Work It - Looks absolutely cool with black jeggings and large hoop earrings.